Protein powder supplements the most convenient way to increase your daily protein intake. Most are derived from milk, but there are other choices available that use alternative sources. See my article: Do I Need Protein Powder to build Muscle? What is a Vegan Protein Powder? Vegan and vegetarian protein powders use plant based sources instead of animal sources such as milk, eggs or beef. Common plant protein sources are soy, peas, rice, hemp, alfalfa, artichoke, pumpkin seeds and others. These plants are used because they have a relatively high protein concentration and are therefore excellent sources of raw protein. However, plant sources in general have lower protein content than animal sources. A protein isolate. This is the main ingredient in a protein powder. Made simply taking a source such as peas and removing everything but the actual protein, thus isolating it from the rest of the pea, creating pea protein isolate. Flavoring ingredients. Cocoa powder, extracts from vanilla, stevia leaf, monk fruit and vanilla bean, among others are used to sweeten and flavor the product so it tastes good. Stabilizing ingredients. Ingredients such as Organic Guar Gum, Xanthan Gum are gluten free additives used as thickeners and emulsifiers to give the product consistency and hold it together. Nutritional ingredients. Additives such as fiber, vitamins, minerals, and essential fatty acids may be used in protein products to boost desirability. Who Needs a Vegan Protein Powder? A source of protein for those living a Vegan or vegetarian lifestyle and do not consume enough protein for a healthy, balanced diet. Vegan athletes, bodybuilders, and anyone involved in strength training, need a plant based source of protein to fuel their goals. Anyone who wishes to increase their protein intake that are lactose intolerant or have allergies to certain dairy products. Most foods in Vegan and vegetarian diets are naturally low in protein content, so it can be a challenge to get enough protein. This is why high quality protein powders designed for the Vegan diet can be a valuable part of a healthy eating plan. If you are in the lactose intolerant, see my article on Lactose Free protein powders. Where Do I Buy Vegan Protein Powder? 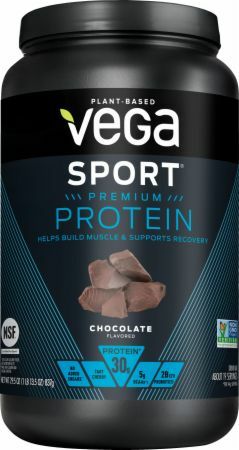 Vegan protein powder used to be hard to come by, but now you can find it at any health food store as well as on the shelf at many grocery stores. The best deals are usually online at retailers such as the ones listed in this article. The best way to buy any protein powder is in as large a quantity as you can afford, as it is almost always significantly cheaper in large amounts. Common sizes are 5 lb tubs and some powders are available in 10 lb bags as well. How do you know if you are getting a quality Vegan Protein Powder? One way to know is to look at how many grams of actual protein you are getting in each serving. This will reveal the purity of protein in your particular brand. Every protein powder has a certain percentage of “fillers”. These are ingredients such as sweeteners, preservatives and flavorings. Some products include vitamins, minerals or essential fats in their products and some are “meal replacement” products. Additional ingredients can make it harder to calculate the purity, so I am only looking at powders that are advertised as “protein only”. Purity is simple to calculate, just divide the grams of protein per serving by the serving size to get your purity percentage. For example, if your protein shows a serving to be 31 grams, and the protein per serving is 24 grams, 24 divided by 31 equals .77, or 77% protein. The remaining 23% is going to be sweeteners, flavorings and other ingredients. Needless to say, the higher the percentage, the more protein you are getting for your money. The percentage of protein in plant based powders is generally lower than a whey, egg or beef based powder. This is primarily because plants are lower in protein than milk (where whey comes from), eggs or beef. 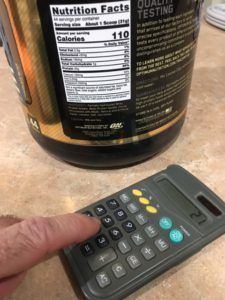 This calculation only works if you are looking for protein products, as opposed to a meal replacement or product that adds other nutrients such as fiber, vitamins, healthy fats, etc. In this article I am only rating products that are primarily protein. A few of these do add a small amount of additional nutrients, but all are marketed as vegan protein powders. In order to determine the most complete vegan protein powder, you need to look at the amino acid profile of each brand and compare it to some top whey and milk-based protein powders. Whey protein is considered to have a complete amino acid profile. In general, you would need a protein containing a blend of different protein sources to have a good amino acid profile. 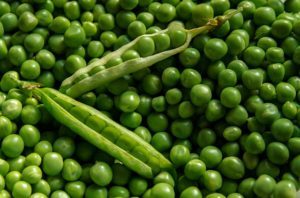 Therefore, a Pea protein may have a good percentage of protein content, but may not have all the amino acids necessary for the highest quality protein. To reach this list of top vegan protein powders, I used purity calculations to judge which ones have the highest percentage of protein in them. My research shows that the quality of vegan protein powders can vary from as low as 46% to as high as 71% pure! To rank the top vegan protein powders, I am going to be looking at the purity, or percentage of actual protein as a measure of the quality of each product. The products included will only be the highest rated on various online sites including Bodybuilding.com, GNC, and Vitamin Shoppe. These 3 sellers have the majority of the market and therefore will have the most review and ratings. Remember that plant-based protein powders automatically have lower purity then whey and milk-based proteins simply because you are starting with sources that are lower in protein. The top proteins that I found tend to have between 60% And 71% purity. I have done a lot of research trying to find the best of the best, as well as the cheapest of the best! Yes, there are some inexpensive vegan protein powders out there, you just need to look at the label to see what you are getting for your money. I have found that the cheapest vegan protein powder in made by a company called myProtein. This vegan blend uses protein from peas, hemp and brown rice. 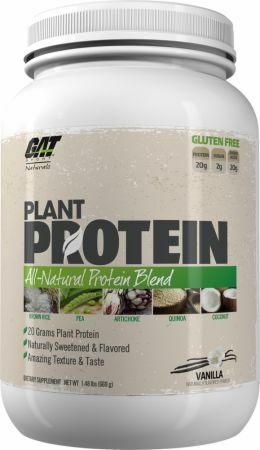 This vegetarian sourced blend provides a complete amino acid profile and a 34 gram service provides 21 grams of protein, which make the purity a respectable 61% which is not bad for a plant based protein powder! This company has minimal advertising expenses, as you do not find them advertising in the popular bodybuilding magazines and taking out full page expensive ads. Instead, they advertise mostly on the Internet, definitely get a lot of referrals from customers like myself, and pass the savings on to the customer. They also save by not using super fancy, multi color, expensive packaging like all the other supplement companies do. If you look around at all the major brands you will see fancy bright colors and psychologically appealing packages. Those awesome colors on the outside of the package cost a lot to develop to absolutely nothing to improve the quality of what is inside the package. MyProtein uses relatively plain (but still attractive) packaging which saves them a bundle in the manufacturing process. This allows them to pass on the savings on to the customer. Price- As low as $.45 per serving in the 5.5lb bag with promotions. How much should you pay for a good quality vegan protein? If you have been using protein supplements for a long time like I have, you have seen the prices increase every year. You will pay anywhere from $.45 to well over $1.50 per serving for the good stuff, and well over $2.00 per serving for the GREAT stuff. If you go with MyProtein powders, you will save a boatload. Their prices are extremely aggressive. There are certainly many more choices in the market for Vegan protein powders, but a lot of the most popular and well reviewed have been listed here. I will add more as my research continues. If you have any experience with these protein powders or know of others that you think make the list, please leave a comment below and I will look at it and add it. I now know that Vegetarian and Vegan protein powder utilizes plant based sources rather than animal sources, for example, eggs or meat. Basic plant protein sources are soy, peas, rice, hemp, artichoke, pumpkin seeds and others. These plants are utilized on the grounds that they have a generally high protein focus and are in this way superb wellsprings of crude protein. Be that as it may, plant sources when all is said in done have slightly lower protein content than animal sources. Your comments are spot on! Thanks for reading my article and taking the time to leave a comment! Thanks for sharing this information. I am a vegan so also my uncle. I have been making researches on the best quality protein powder for vegan but I don’t seem to get interested in any of the results. But reading this article ,this powders here really convinced me, I believe it’s quality and I will make purchase of one of these and I will share this post to my uncle so he can check this out also. Lok, thanks for reading my article on Vegan Protein Powders! I was happy to find so many high quality products for those that live the Vegan lifestyle! It wasn’t long ago that almost all protein powder supplements were made from animal sources. Good luck choosing a product and let me know how it works out for you! Thanks for sharing this article. I myself am very into health and fitness and i am n the journey in growing my muscles However, i do not agree with the traditional protein powders because they can be very detrimental to your health, even causing kidney damage. I am happy to see these vegan alternatives i a definitely looking into making a purchase. Health is very important and we need to take care of ourselves with good diet and exercise. Jamiro, Thank you for reading my article about vegan protein powders and leaving a comment. I am trying to get information out there about all the different supplements and protein powders that are available for people from all walks of life. Thank you for this most informative article. Most people don’t think of vegans when it comes to protein powders, as the two almost don’t go together. Vegans actually also need their protein, although they need to make sure that there are no animal sources in their protein powders. It’s amazing that some of these protein powders are such low quality. Is it difficult to make these for Vegans? I guess the price should tell you in most cases which is the best. My protein vegan blend looks like a good product that I haven’t seen around and it has lots of good ingredients. The price isn’t too bad either. Do you know what it tastes like? Michel, thanks for reading my article on Vegan protein powders. I agree that some vegan proteins seem to be very low in protein, but this is because plants in general do not have a lot of protein to begin with and it is hard to get a pure protein from them. 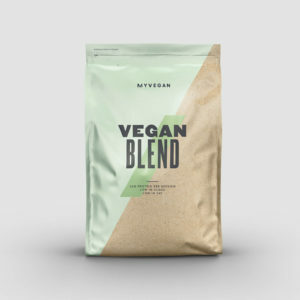 MyProtein Vegan blend is a good alternative to whey and milk based powders. I have not tasted the Vegan blend, but I use many of their other products and all are very good. I’m a vegetarian also and I never knew there were vegan protein powders especially for someone like me who is trying to build lean muscle. Can protein powders be used as an actual replacement for normal protein that is gotten from food? What do you recommend for someone looking to go into body building? Thanks for your comment and questions! Yes, protein powders can be used to replace most of the protein in your diet, HOWEVER I do not recommend it. Eating whole, natural foods is best for your health. Ideally, protein powders, vegan or other wise, should be used to supplement your protein intake. As a bodybuilder, I need to take in at least 1- 1.5 grams of protein per pound of body weight per day. for me, that is 215-323 grams per day! (unfortunately, I do not quite get there every day) That is a lot to get from food alone. I eat lots of high protein foods, but need to get the rest from protein supplements. I drink 2-3 protein shakes every day to attempt to reach this goal. As a recommendation to a beginner, I would say to eat lots of high protein foods, and go easy on the powder until your body gets used to it. So start with a protein shake within 60 minutes after every workout, then eat a meal an hour or so later. After you have been lifting for a few months, I would add another protein shake in the morning and maybe one at night as well. Hi! Thank you for doing this research for us. I greatly appreciate this list. There was a time when it was difficult to find vegan protein powder. But now it’s quite easy to find online and offline. Thank you for this useful tip concerning calculating purity. I’ll take advantage of this great deal purchasing MRM Veggie Elite. I think it’s the best option for me. Thank you very much! Henry, thanks for reading and commenting! 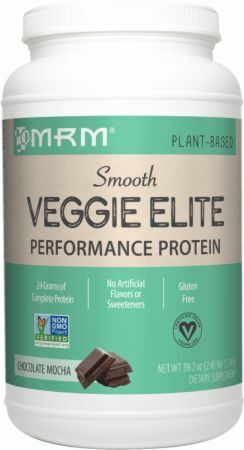 MRM Veggie elite is a great choice! It seems to be very popular across many retailers. Thanks for your input! I have had a hard time finding enough protein for my vegan diet. I work out every day so I need more protein than the average vegan needs. I’m glad I ran across your article on vegan protein powders. I didn’t realize these were out there. I try and stay away from animal-based food products as much as possible. Your article will come in handy when I am looking for a good vegan protein powder to use before my workouts. Cory, thanks for your comment. I am so happy that my article on Vegan protein powders helped you realize there are vegan option available to help you get more protein in your diet. Thanks for this review, vegan protein powder must be a part of your diet as a vegan . … So are many vegan energy bars. Vegans need a little more protein than meat eaters to account for the different amino acid mixes in plant foods and because some plant proteins are digested less efficiently than animal proteins. But is too much protein powder harmful to a vegan? Seun, thanks for reading my article on Vegan protein powders. it is true that some plant protein sources are not considered “complete” proteins as they may be missing some of the essential amino acids. Vegans do not necessarily need more protein, but they do need to get the protein from a good variety of sources. 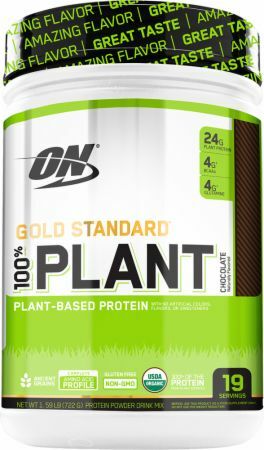 A good quality protein powder blend such as the ones mentioned in my article will cover all the bases as they incorporate several protein sources to provide a good balance of amino acids. 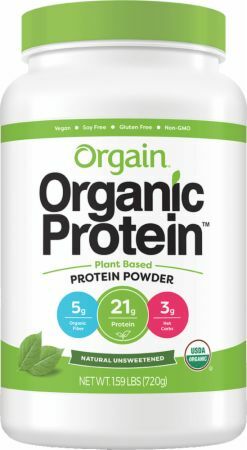 I’ve used Orgain Organic protein powder on and off over the years. It’s my after workout (within 20 minutes) go-to fix of protein and carbs. I never sip “healthy drinks” I just chug them but, this one actually tastes pretty nice for a protein powder. I’m not a vegan but, I use a lot of vegan products. Healthforce’s Warrior Food is another one of my go-to’s (not sure if you’ve reviewed that one yet) it is a bit gritty but, if you’re not a warrior then I would stick to one of the above products. fyre, thank you for your helpful comment! It is great to hear from people that have used some of the Vegan protein powder products and to recommend others! I think that chugging a protein shake is definitely the way to go if you don’t like the taste! lol, but there are some really tasty protein powders out there and everyone’s tastes are different, so I say keep looking for one you like! You have done some really useful research here which will be of great help to all vegans, and to vegetarians too. I have four vegetarian children, although one is admittedly a pescatarian, and I am often concerned that they are not getting sufficient protein in their diet. I often use protein powders, as well as lentils, chia seeds and hemp seeds, in order to add some protein, but I have not heard of all of the powders you recommend. Although as I usually add protein powders to other foods that I am cooking, I would not want to use flavoured powders, and I notice that only one of the your recommendations are unflavoured, and that one has the lowest protein content unfortunately. Why would you think that so many of them have a chocolate flavour? Very many thanks for your information. Chrissie, Thanks you for reading my article on Vegan Protein Powders. 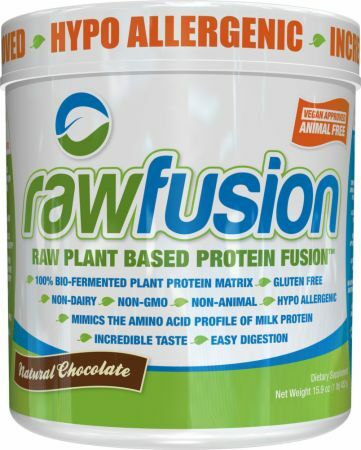 It is true that most of the protein powders come in chocolate and vanilla, but SAN Rawfusion and Orgain Organic Plant Protein powder are available in unflavored as well. I just think that they taste better if they are flavored and most people like chocolate and vanilla! I am partial to chocolate myself, but I will take any protein flavor. Rob, thank you for your comment. I am glad to provide some info on Vegan protein powders. Not long ago it was hard to find, but these days in is becoming more mainstream and most of the supplement companies are coming out with better and better product for the Vegan market. Igor, thanks for reading and commenting on my Vegan Protein powder article. I am sure these will taste quite good! They all have very good reviews, but taste is very subjective! The jury is still out as to whether they taste as good as whey based powders. Anis, thank you for reading and commenting on my Vegan protein powder article! I’m glad you found it helpful in your hunt for a quality protein supplement! Wow. I’ve never even thought about vegan options for protein powders. You’ve given some really helpful information here especially how difficult it is for vegetarians to get enough protein. If I were making shakes for my daughter (under 1), would it be ok to add a bit of protein powder? I know for the milk based ones I was advised not to. I was thinking because of possible milk allergies. But given that vegan powders don’t have that component, should it be ok? Tekyia, thanks for reading and commenting on my article about Vegan Protein powders! I really cannot comment on protein powder for children. I would definitely consult your Pediatrician on that issue. However, most of the Vegan protein powder formulas are allergen free as well as milk and dairy free, making them an excellent choice fro people with allergies and sensitivities to those ingredients. Thank you for sharing this article! Very detailed description i really needed. Getting enough protein in your diet is absolutely crucial. I am trying to get in shape after pregnancy and i am a vegan so for me its a bit tricky to get higher amount of protein during day. Since i started using vegan protein powders i am starting to see some results and its really easy to consume it with a meal. Blending it in a smoothie is my favorite, banana chocolate specially. Is there some other product i can try to increase muscle build and burn fat? I am looking forward to try these, thanks again. Thanks for reading and commenting on my article on Vegan protein powders! I appreciate the sharing of your experience with this type of product. I think the best way to increase muscle and burn fat is to just be sure you workout on a consistent basis with resistance training and gt some cardio in as well. Studies have shown that high intensity weight training can burn fat as well as build muscle. And be sure to get enough daily protein!